Since fall, I have been a Bannan Institute Scholar for Racial and Ethnic Justice at Santa Clara University. As a part of this grant, I have spoken on a panel and met in a workshop with the other scholars and Bannan Institute fellow. 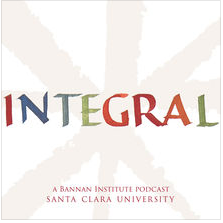 This week, the Integral podcast episode that I recorded on race and social media as a part of the Bannan Institute is now available.